Just 16 months passed from when Tesla first showed its Model 3—and we got our first ride in a Model 3 prototype with its VP of engineering Doug Field—to when it made the first batch of deliveries. And it was certainly not our intent to wait nearly another 16 months before considering it for our Green Car Reports’ Best Car To Buy award. But last year, while the Model 3 was officially on sale and in production, we couldn’t track one down in time to make the cut. Tesla reported 220 Model 3 deliveries by October 1, 2017. And while we knew there were a few early demonstration vehicles loaned out to other media outlets, Tesla declined our requests for time in one of them. This year it’s quite different. Tesla passed 100,000 Model 3 deliveries last month, when we brought our contenders together. The electric sedans are a frequent sight in bigger American cities—not just the left-leaning, eco-image-conscious coastal ones. Yet one thing carries through from last year: Tesla has either denied or postponed several requests from our editorial staff for a Model 3 for review. DON’T MISS: Lower-cost Tesla Model 3: Does 260 miles, $46K before incentives split the difference? Despite that, we’re here to evaluate the car, not the company, and help you make the best vehicle choice. To that end, the Tesla Model 3 is soundly a contender for Green Car Reports’ Best Car To Buy award. The Model 3 easily meets all the criteria needed to put it in the running. It’s available in all 50 states—either from Tesla facilities or, in other states, delivered via third-party distributors. And even as Tesla has scaled up, it seems to be delivering the customer experience its buyers want; unhappy owners are few and far between. Part of that is rooted in the strength of what many see as Tesla’s greatest asset: its Supercharger network. Tesla vehicles typically charge on Supercharger hardware at 120 kilowatts—more than twice the rate that’s common for DC fast chargers on the CHAdeMO or CCS (Combo) standards—and they’re more often located where you need them for road trips. From our experience, they’re also more likely to be located near useful travel-related amenities. The Model 3 can go a long way on a charge, too. 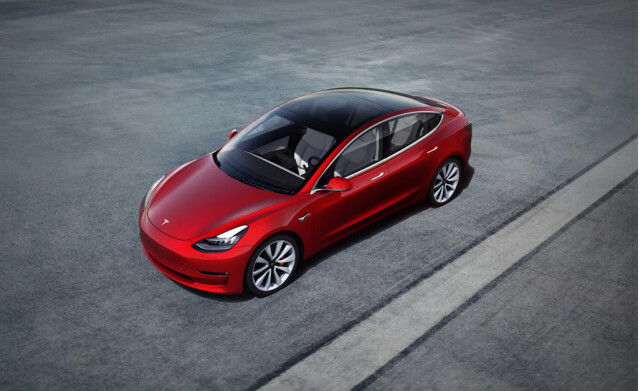 All three versions of the Long Range Model 3—rear-wheel drive, Dual Motor (all-wheel drive), and Dual Motor Performance—have a 310-mile EPA range rating. Based on owner reports and our own minor experiences, these cars tend to do even better than that. As we’ve covered, it offers the most miles of range per kwh of rated battery capacity of any longer-range production EV. Now, back to the car itself. We’re limiting this nomination to the Long Range, rear-wheel-drive version—the version of the Model 3 that has been delivered in the highest numbers at the time of our assessment. 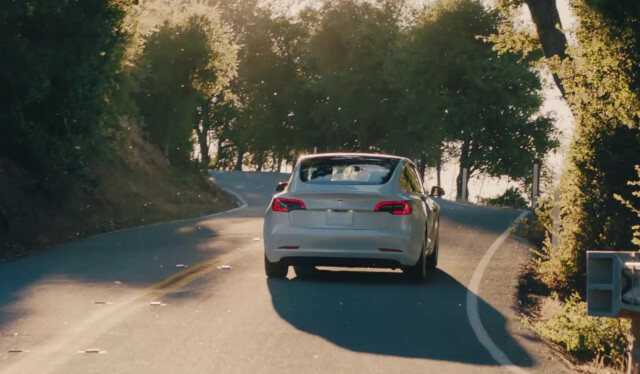 Come final voting time, four of seven voting Internet Brands Automotive editors had managed to find some time in that version of the Model 3. This year, right after driving the other two nominees, the Hyundai Kona Electric and the Jaguar I-Pace, we looked to an alternative source to affirm our impressions: We rented one via Turo.